We are planning to launch a two-year study in early 2019 to better understand the charging patterns for residential electric vehicles. In exchange for completion of surveys and data about EV charging and use, qualified customers may be eligible for up to $250 per year. To be eligible, customers must be a residential Tacoma Power customer, own or lease a fully battery electric vehicle or plug in electric hybrid, and own their own EV charging equipment. Are you a current or future EV owner interested in learning more? Sign up below to receive information and updates about this pilot program. If you have questions, please email EVCharge@cityoftacoma.org, call 253-502-8363 or view the Frequently Asked Questions below. Looking for more information on EVs? Click here for upcoming events, educational resources and ways to connect with other EV enthusiasts. We intend to collect charging information for Electric Vehicles (EV) and Plug-In Hybrid Electric Vehicles (PHEV) in our service territory. Results of the study will help us better understand how EVs affect the electric system and will inform how we can better assist EV customers through potential new programs, education, and new services. We plan to recruit up to 100 participants. 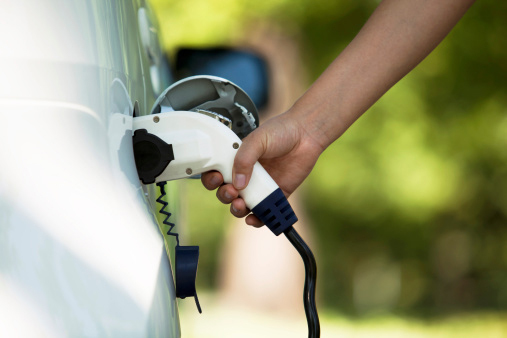 Participants will be provided payments to complete a series of surveys and provide vehicle charging data via a small device, the FleetCarma C2, installed in their vehicle over the course of the study period. FleetCarma is a connected car platform that allows organizations and individuals to effectively monitor electric vehicles. We have contracted with FleetCarma for this study. We will send you payments at three different points during the study. The first payment is $50 after you complete the entrance survey and we confirm the C2 device is connected. The second payment of $200 occurs after the first year of participation, i.e., leaving the C2 device clipped in your EV’s OBD port to provide EV data for this study. Lastly, the third payment of $250 occurs after the second year of participation and completion of a final survey. GPS determines if a car is charged within the Tacoma Power service area. However, we will not collect actual GPS data. Lastly, GPS information is only collected when charging, not while driving. We will not know where vehicles are driven or parked. If the device is lost or damaged, or if you have any questions, contact us at EVCharge@cityoftacoma.org. Also, FleetCarma will notify you via email if the device is not communicating. In addition, there are also diagnostic lights on the device that you can view. This study will help us approximate your carbon savings by driving an EV. Carbon savings estimates are based on our energy mix, which is primarily composed of clean, renewable hydro-electricity. However, cars are mobile and can be charged by different utilities. We do not have data for the carbon intensity for other utilities and therefore cannot fully estimate the carbon impact for charging sessions outside of our service area.